Most of us think of the holidays as a time to celebrate and be joyful. But it actually has become a tradition for controversies to pop up around Christmas. And this year is no different. In 2018, we have seen a series of controversies spring up over Christmas ads, decorations, greetings, songs, and trees. Christmas trees are particularly controversial because they’re the de facto symbol of Christmas. However, they are not alone. Frank Loesser’s 1944 song “Baby, It’s Cold Outside,” which won an Oscar when featured in the 1949 film Neptune’s Daughter, has been causing controversies around Christmas for a long time. But it became more pronounced in 2007 due to the increased use of social media. Flash forward to 2018, and several radio stations across the US have banned the song over its lyrics, which they consider to be offensive. Emily Crockett, who wrote about the controversy in 2016, mentioned that the lady in the movie really wanted to stay in the man’s house but felt compelled to leave because it could cause a scandal. Obviously, morality was a major issue in the ’40s and the practice of unmarried couples living together was frowned upon. However, Crockett agreed that the lady was being coerced into staying. 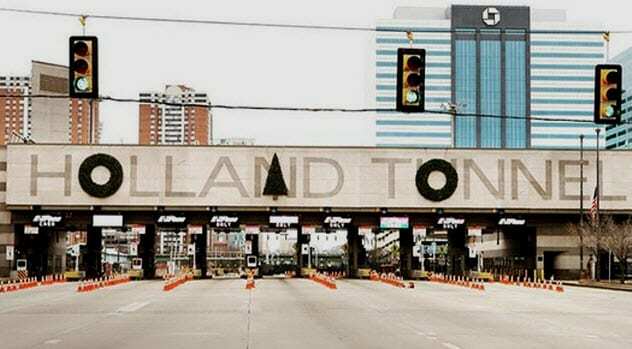 This year, the Port Authority of New York and New Jersey unwittingly caused a controversy when it added three Christmas wreaths to the “Holland Tunnel” entrance sign. Two decorations were circular, and the third had the triangular shape of a Christmas tree. The first circular wreath was installed over the letter “O” in “Holland.” The second circular wreath was placed over the “U” in “Tunnel,” making it look like “Tonnel.” The Christmas tree was installed over the “N,” which just looked awkward. The Christmas tree and the second circular wreath were the sources of the controversy. Cory Windelspecht was the first person to complain about the wreaths. He created a petition on Change.org where he complained that the Port Authority of New York and New Jersey was fond of putting the Christmas tree wreath over the “N” instead of the “A” every year. Cory said that this could cause problems for people with obsessive-compulsive disorder. In 2018, UK supermarket chain Iceland Foods planned to release an animated video ad for Christmas. The ad was about a young orangutan that runs amok inside a young girl’s bedroom. The orangutan, which is called “Rang-tan,” hops across the girl’s bedroom, throwing things around and hanging from furniture. The girl narrates that she does not know what to do about the orangutan in her bedroom. She later orders Rang-tan out. However, just before the animal leaves, the girl asks Rang-tan why she (the orangutan) was in the bedroom. The camera zooms in on Rang-tan’s eyes, and we see the true story. There are humans in her forest, and Rang-tan doesn’t know what to do. They have destroyed her home and turned it into palm oil plantations. They have killed Rang-tan’s mother, and she is afraid that they will kill her, too. The entire ad is about the massive deforestation in palm oil–producing countries. Iceland Foods was going to air the ad in the UK until it was banned by Clearcast, the UK advertisement regulation agency. Clearcast claimed that the ad was a political advertisement that violated rules enacted in 2003. Apparently, the ad was originally created for environmentalist group Greenpeace, which had earlier used it for its anti-deforestation campaign. If anything, the ban popularized the ad. People watched it on the Internet anyway. It also put workers at Clearcast in danger. Clearcast received over 3,500 emails and hundred of phone calls at the time of the ban. Many of the calls and emails were threats. Some were so severe that Clearcast removed the pictures of its workers from its website and closed down its Facebook page. For years, Starbucks has had a tradition of creating specially designed cups for Christmas. The first cup was introduced in 1997, and they were controversy-free until 2015. 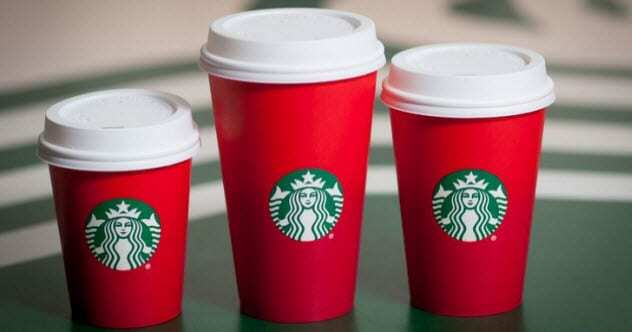 Since then, each Christmas cup has caused its fair share of controversy, which seems to heat up every year. Unlike those in previous years, the highly contentious 2015 cup was devoid of all designs. Joshua Feuerstein started the debate when he made a video claiming that the plain red color was an attempt to remove Christ from Christmas. He suggested that each customer tell Starbucks’ employees that the customer’s name was “Merry Christmas” so that the workers would call out “Merry Christmas” whenever they made a drink. The 2016 cup was a green-and-white one that was accused of being anti-Christmas. In 2017, it was a white-and-red cup that was said to be pro-gay. In 2018, Starbucks introduced five cups, including one that was supposed to be reusable and free. But customers were forced to shell out $2.50 for it because the free supplies were exhausted quickly (as in minutes). In 2018, officers at the Minneapolis Police Department decided to decorate one of their stations for Christmas. They installed a Christmas tree, and all appeared well until a picture of the tree was posted on the Internet. 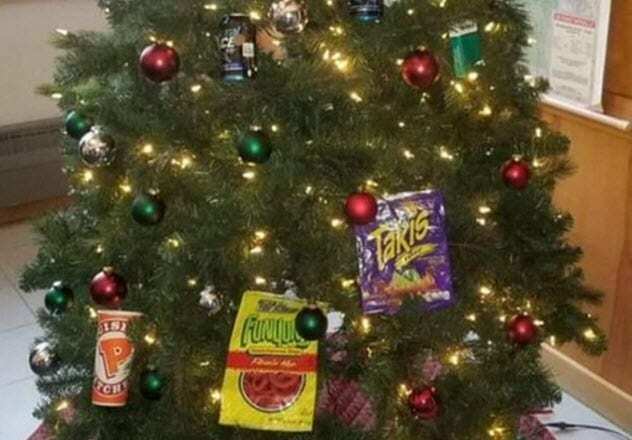 The department was hit with complaints that the Christmas tree was racist. Apparently, the police department had replaced the ornaments, stars, and lights that were supposed to be on the tree with cigarettes, crime tape, malt liquor, and a cup from a restaurant that served fried chicken. Two officers involved in putting up the tree were suspended, while the commander of the station, Inspector Aaron Biard, was removed from his position. 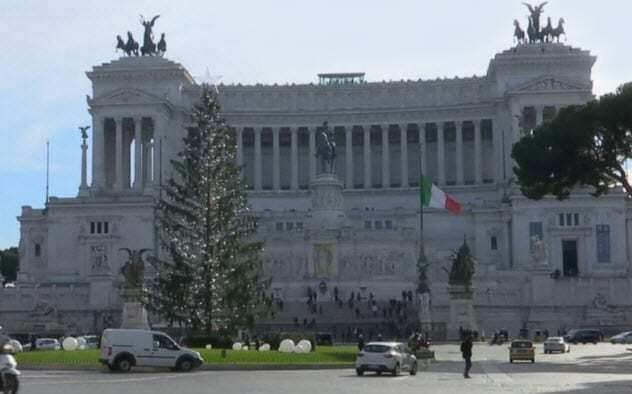 In 2017, Rome became the center of a controversy over its threadbare Christmas tree. In 2018, the city had the same problem. The Christmas trees installed in both years are more like sticks than trees. The majority of the branches in the middle are missing, and the few remaining branches have sparse greenery, just like the rest of the tree. In 2017, concerned citizens called the threadbare tree “Spelacchio” (“Mangy”). In 2018, they called it “Spelacchio #2.” The business handling the installation and design of the tree claimed that they deliberately cut the branches to make transportation safer. They added that the branches and greenery will grow before Christmas, but some citizens are having none of it. The Internet went haywire after the revelation. Many believe that a gospel musician should not release a sexually explicit song, especially for Christmas. On one side are the critics who say that the song promotes lust and is contrary to what Jesus stands for. On the other side are those who say that the song can be used by Christian couples just before they get between the sheets. 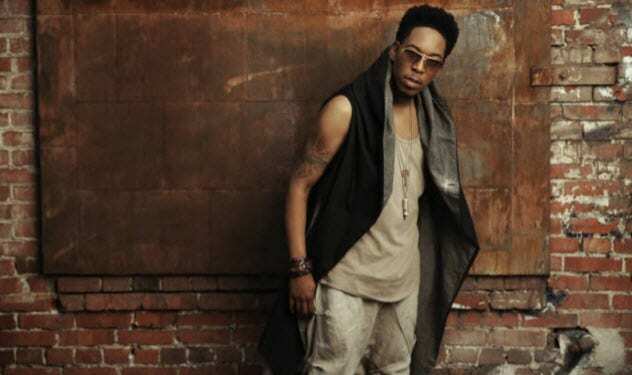 Haddon has already said that his song is targeted at married couples. Non-Christians will usually say “Happy Holidays.” Some Christians also prefer “Happy Holidays” so that they will not be biased toward people who do not celebrate Christmas. However, some Christians consider “Happy Holidays” to be offensive. They believe that it is an attempt to take Christ out of Christmas. For them, it is “Merry Christmas” or nothing. 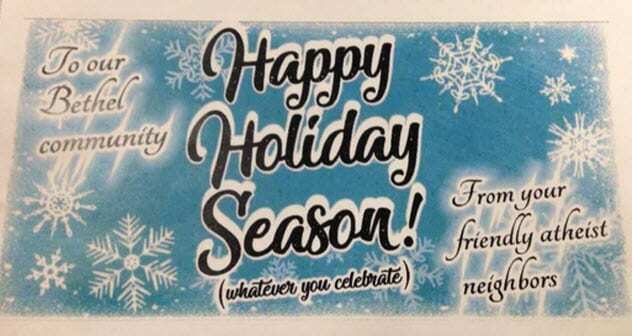 “Happy Holidays” wasn’t always controversial. In fact, the word “holiday” has its roots in Christianity. It is from “holy day,” which refers to a day that is considered holy. Christians have been using “Happy Holidays” in place of “Merry Christmas” for years. But it just happens to get a bad rap these days. From your friendly atheist neighbors. Some Christian residents considered the banner an unfriendly gesture and a disguised attack on Christians and Christianity. They say that the atheists who put up the banner could have just kept their greetings to themselves. However, other Christians think that the banner makes non-Christians share in the fun of Christmas. Another Christmas tree controversy. This time, it is from Highlands, North Carolina. Like many American towns, Highlands engages in the tradition of putting up Christmas trees. In 2017, the town installed a tree with a star on top. However, the star broke off because the tree could not support its weight. 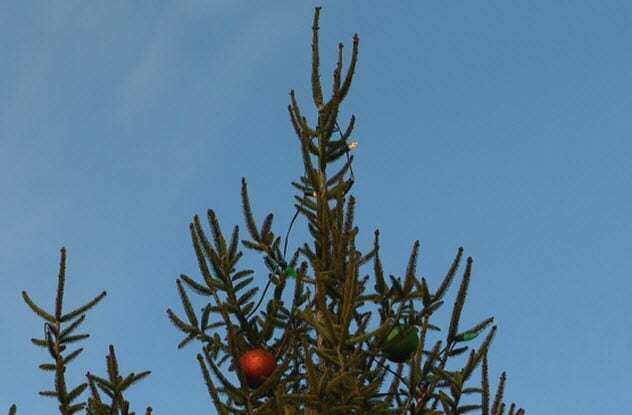 In 2018, the town put up a Christmas tree without the star. Initially, workers placed a cross on the top of the tree. But they were ordered to remove it because it was illegal. At that point, the tree became controversial. Townspeople complained because they wanted the cross back. After a series of protests, the mayor ordered the cross returned. The White House has a tradition of putting up Christmas decorations every year. The First Lady is usually in charge of choosing what type of Christmas tree and decorations go in the White House. 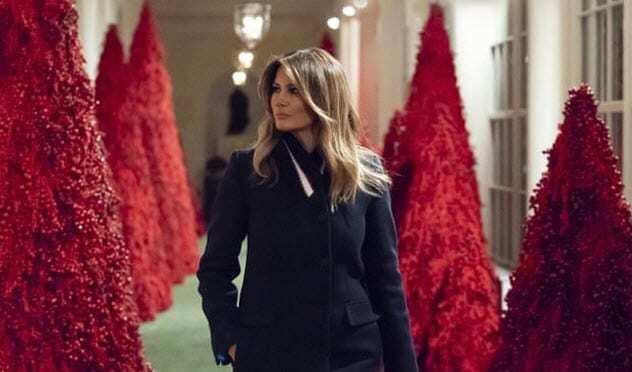 In 2018, Melania Trump settled for plain bloodred Christmas trees. However, some Americans do not agree with her choice of color. The trees have been heavily criticized and are attracting all sorts of negative attention. But Mrs. Trump does not care. She said that the trees are “beautiful,” “fantastic,” and look better when seen up close. She suggested that the critics visit the White House to see the trees firsthand. Read more weird stories about Christmas traditions on 10 Most Surprising Christmas Traditions And Tales and 10 Weird British Christmas Traditions.